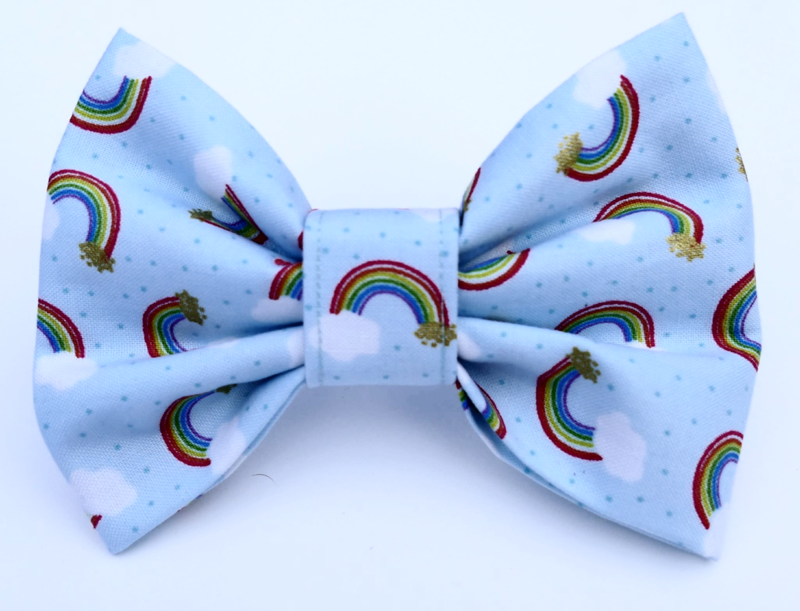 Come rain or shine this beautiful Rainbow bow tie is a perfect stylish accessory for any dog. A beautiful and luxurious, super-premium Rainbow dog Bow Tie. 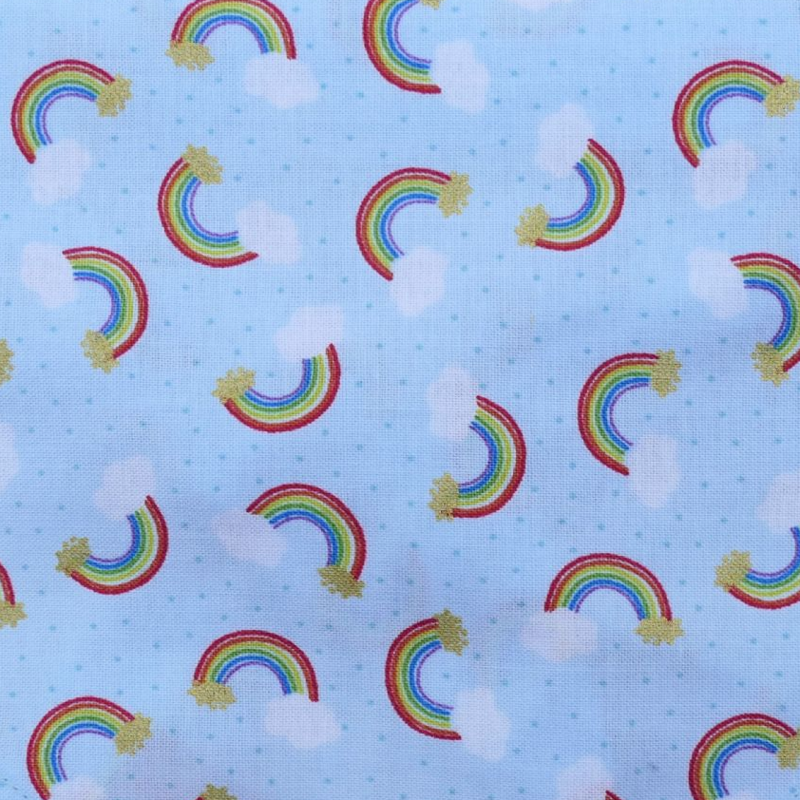 It has a pale sky blue background and an all over print of little rainbows, metallic crocks of gold, and little white clouds. This is a very special bow tie...it's a stunning design, and is a perfect accessory for dogs or cats.